If your medical device company is supporting any client-level marketing or advertising programs (print co-op, local PR, direct mail, etc.) 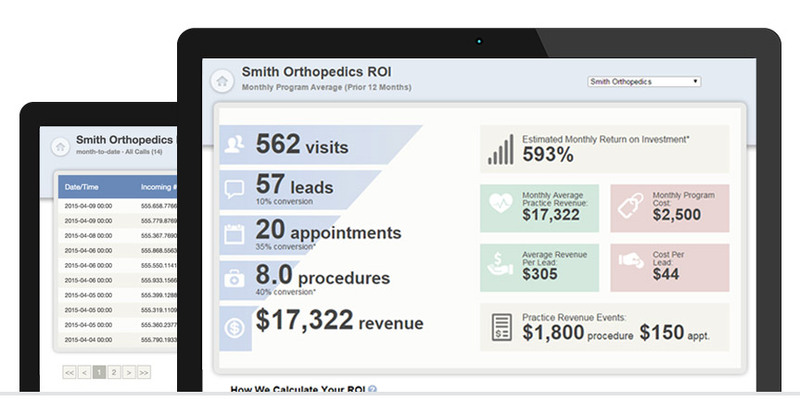 and would like to demonstrate the results (in terms of patient leads and appointments that you’ve helped to generate), MD Connect’s Performance Portal™ Lead Tracking System provides a scalable platform built just for that purpose. Our proprietary Performance Portal platform integrates directly with objective lead tracking modalities (tracking phone numbers and coded online form submissions) that avoid the inaccuracies present with traditional “How did you hear about us?” lead sourcing. Device company sponsors can easily see lead counts by media channel or location (or both). End clients can listen to phone calls, export data, and easily quantify the impact from device sponsor programs. With HIPAA (and the recent HITECH) regulations, there is significantly increased liability for any Business Associate with access to Protected Healthcare Information (PHI). MD Connect has implemented sophisticated HIPAA compliance systems (both throughout the organization and directly in the Performance Portal™). We can provide sponsor access that avoids access to individual PHI (and thus any associated liability), but can access aggregated performance results, while simultaneously providing client healthcare providers with access to all the underlying details (so they can see details of specific leads and appointments). 1 Appointment identification requires lead scoring service and that MD Connect have direct HIPAA contracts (Business Associate Agreements) with end clients.